Choose from any of these courses for your organisation, club, or personal study, or contact us to discuss your requirements, and receive a free recommendation. A gentle yet impressively effective ‘standing pole’ set that can be used in a number of ways to improve stamina, develop calmness and improve the energy flow through the vital energy centres. 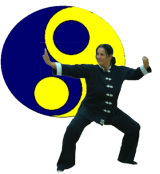 This type of Qigong has proven popular as an aid for people with long-term medical conditions.